With less than two weeks until election day, last minute ad buys and campaign donations continue to flood into Washington State campaigns. This is especially true in tight races like Washington’s 8th Congressional District and in high profile campaigns like I-1631, the state’s contentious carbon fee initiative. Here is a rundown on some of the races and campaigns that are getting an extra push as November 6th draws closer. In the last two days, Michael Bloomberg’s Independence USA PAC poured $2.1 million into Washington’s 8th CD race, funding television ad buys aimed at opposing Republican Dino Rossi. This, in combination with earlier contributions for internet advertising against Rossi, puts Independence USA PAC’s total at over $2.8 million so far this month. Also contributing big money in opposition of Rossi is the Democratic House Majority PAC which contributed $623,000 for advertisements on Tuesday and the League of Conservation Voters (LCV) Victory Fund which announced a $1 million ad buy on Wednesday. In the 8th CD, the National Republican Congressional Committee (NRCC) contributed over a half a million dollars this week in opposition of Democrat Kim Schrier and the Congressional Leadership Fund contributed nearly $2 million so far this month to support Rossi. These last-minute contributions from the NRCC and the Congressional Leadership Fund are taking place in other tight House races across the country as well. For the month of October there are a variety of relatively small contributions — largely in favor of Democrat Carolyn Long and in opposition of Incumbent Jaime Herrera Beutler — in Washington’s 3rd Congressional District. The biggest contributions for the month come from Women Vote!, a group under the umbrella of EMILY’s List, which purchased a $397,575 media ad in opposition of Beutler this week, as well as a nearly $200,000 on Friday from the Congressional Leadership Fund for media placement in favor of Beutler. Media outlets are also reporting an additional $800,000 from the NRCC for an ad buy supporting Beutler. The “No on 1631” continues to bring in money from large, out-of-state corporations. Since October 15th, the campaign has reported several large contributions including $6,500,000 from BP America, $1,700,000 from Andeavor LLC, $400,000 from Koch Industries, Inc., $500,000 from Valero Energy Corporation, and $400,000 PBF Energy, Inc. In total, the “No on 1631” campaign has raised over $29 million. By comparison, the pro-1631 campaign, “Clean Air Clean Energy WA,” has raised $15.2 million. In the second half of October, the majority of last-minute contributions have come from smaller individual donations with a few larger donations from groups like The Nature Conservancy ($1.5 million). So far this month, the “Yes! To Affordable Groceries” campaign added an additional $3,442,651 from the Coca-Cola Company, $2,595,686 from Pepsico, Inc., $1,077069 from Keurig Dr. Pepper, and $84,592 from Red Bull North America. The campaign in opposition to I-1634 has raised a total of $23,104, with the largest donation in October coming from the Arcora Foundation donating $7,000. Recent donations in favor of I-1639 include $200,000 from Leslie and Nick Hanauer, $200,000 from Everytown for Gun Safety, $200,000 from Connie and Steven Ballmer, and a long list of smaller individual donations. Campaign contributions in opposition of I-1639 include an extensive list of smaller individual contributions during the month of October, along with $50,000 from the NRA and $20,000 from the Citizens Committee for the Right to Keep and Bear Arms. This initiative finance data is based off the most recent campaign reports submitted to the Public Disclosure Commission – these will likely continue to change in the coming days. 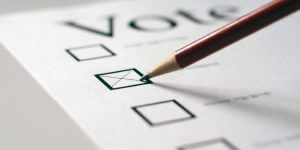 The start of the 18-day voting period began on October 19th leading up to the November 6th general election. The last day to register to vote in person in Washington is October 29th. This article was updated 10/29/18 to reflect the most recent campaign contributions.